Sixteen-year-old Zoey Redbird lives in a world where vampyres and humans co-exist. 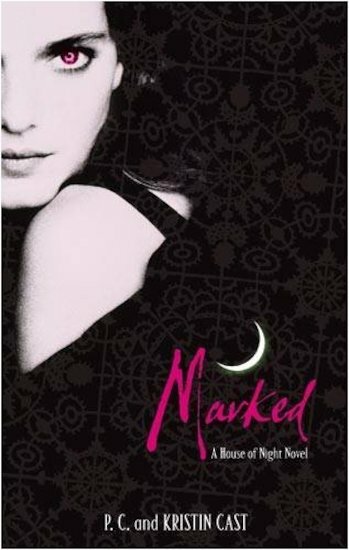 And when she is Marked as a fledgling vampyre, she joins an extraordinary school: the House of Night. There she will train as an adult vampyre – if she survives the dangerous Change. But Zoey is no ordinary fledgling. Blessed with prodigious powers, she has been chosen by the Goddess Nyx to command and conjure the elements: earth, air, fire, water and spirit. At the House of Night, Zoey feels that she’s finally found a place where she belongs. But when she discovers that the leader of the Dark Daughters, the school’s most elite group, is abusing her special gifts, Zoey must look within herself to embrace her destiny – and call upon the powers of her new vampyre friends.